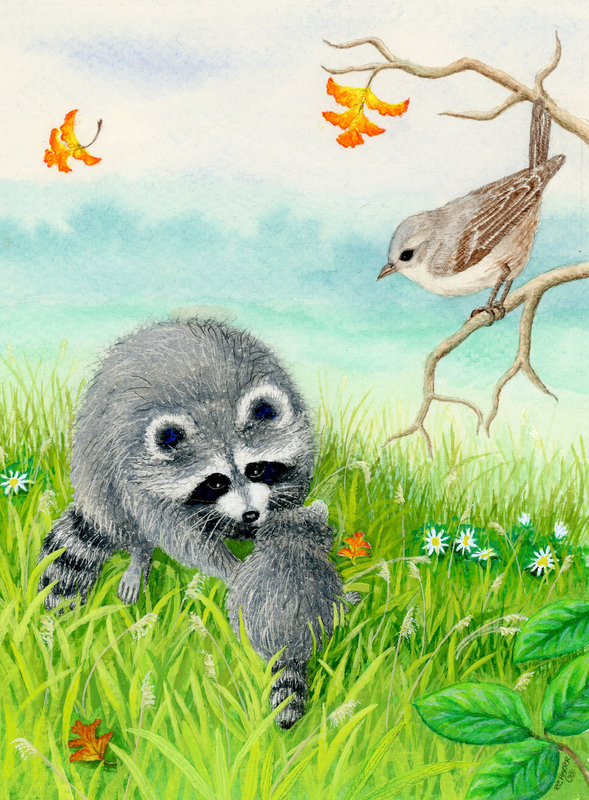 Cherished as - “Teachers Top 100 Books for Children” (National Education Association), a “Top 100 Picture Book” (School Library Journal), and Huffington Post's shout-out to picture books as holiday gifts - "12 Picture Books Even 8-yr-olds Should Read." 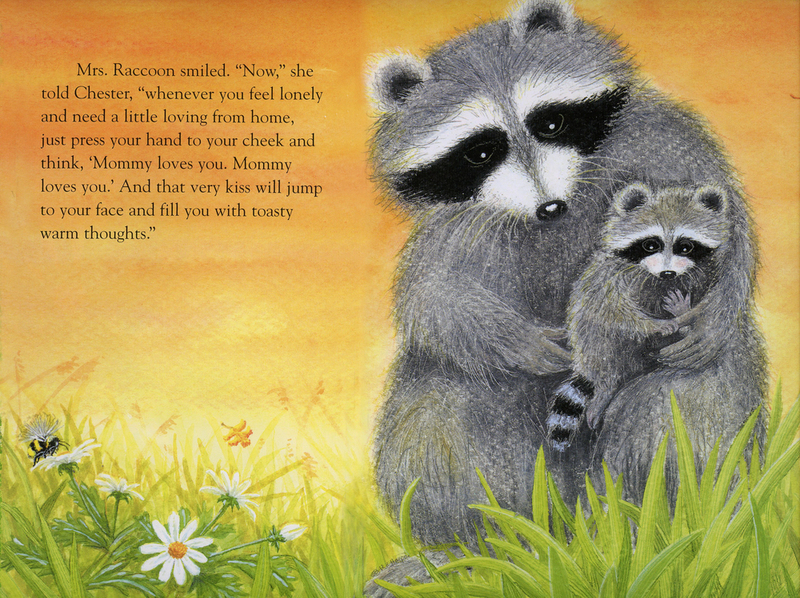 This is a tender story of a young raccoon who is afraid to go to school and be away from his mom for the first time. Her kiss planted gently in his palm comforts him so he has the courage to go to school - and 'take a part of her love' with him. 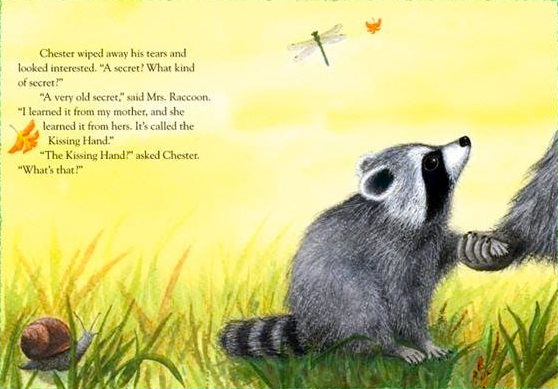 The sweetest surprise is when Chester kisses her hand as he leaves - and it turns out she may just need it more. 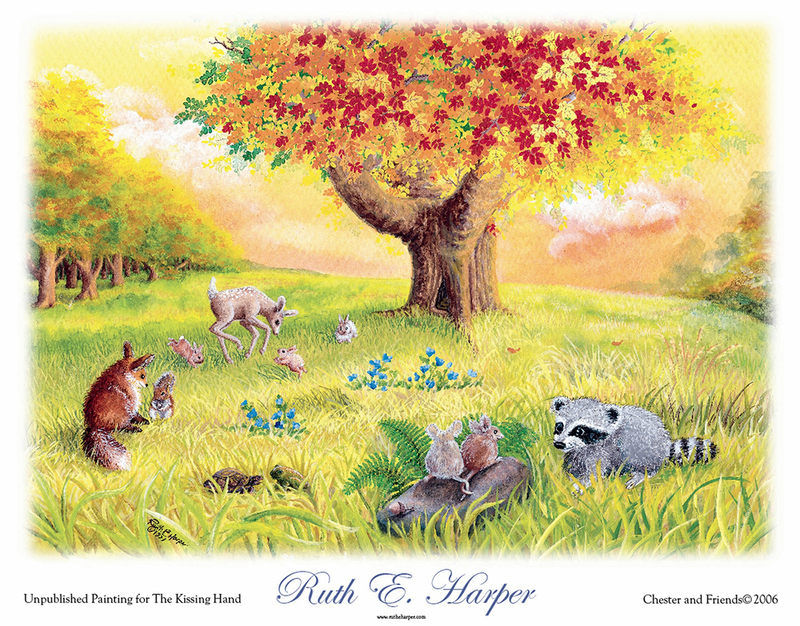 In the planning of the book, Ruth chose to work in bright primary colors to appeal to the very young. 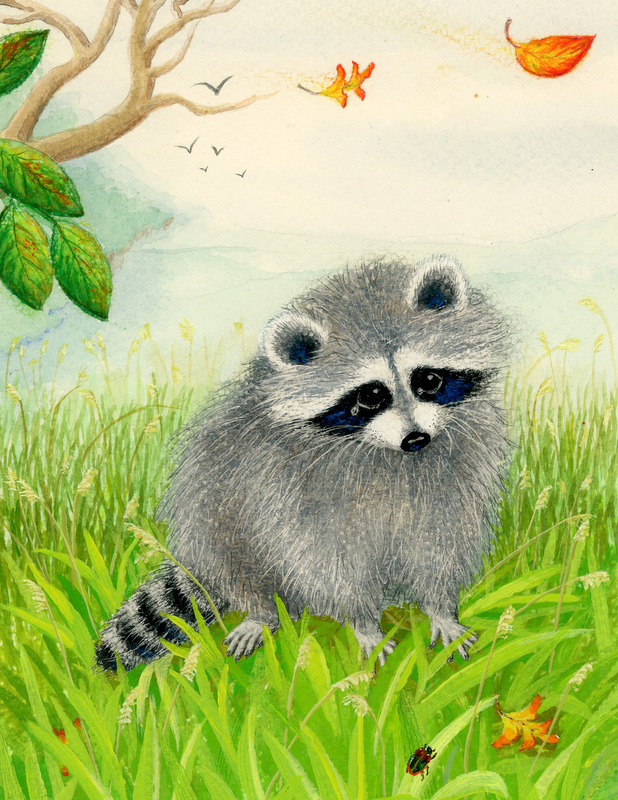 The whole book was painted using only four acrylic colors, mixed with care, and she worked to create each image to look as soft as a young toddler’s heart. 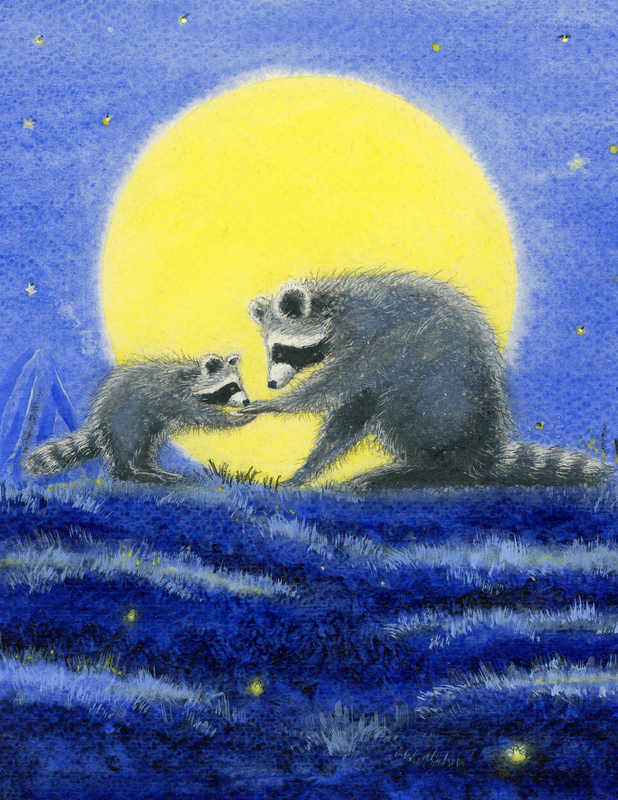 Understanding this was indeed a very sweet story, she used oil pastels for a special softness for the furry animals. Love for her own newborn baby, only 4 months old when Ruth began, fueled the warmth in each image. 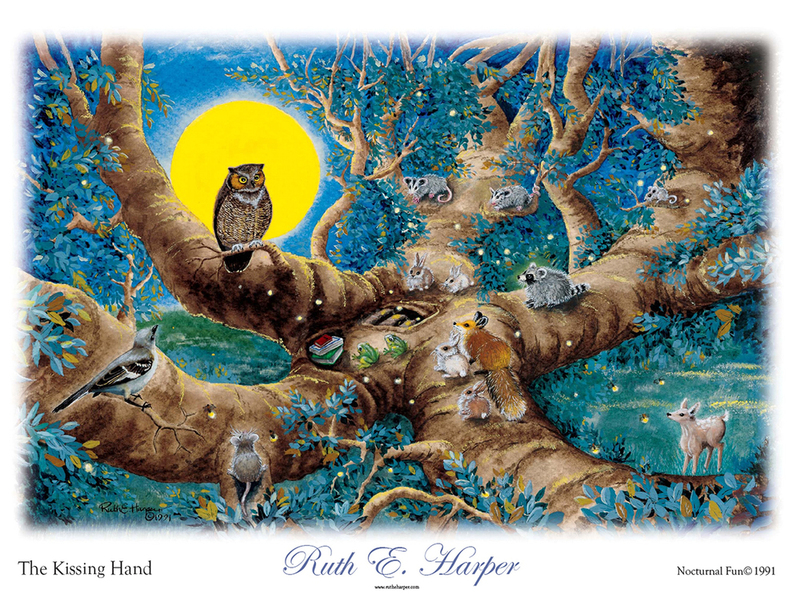 She independently designed and painted this as a 24 page book, as requested by the author, but unknowingly another artist was asked to add to it later. 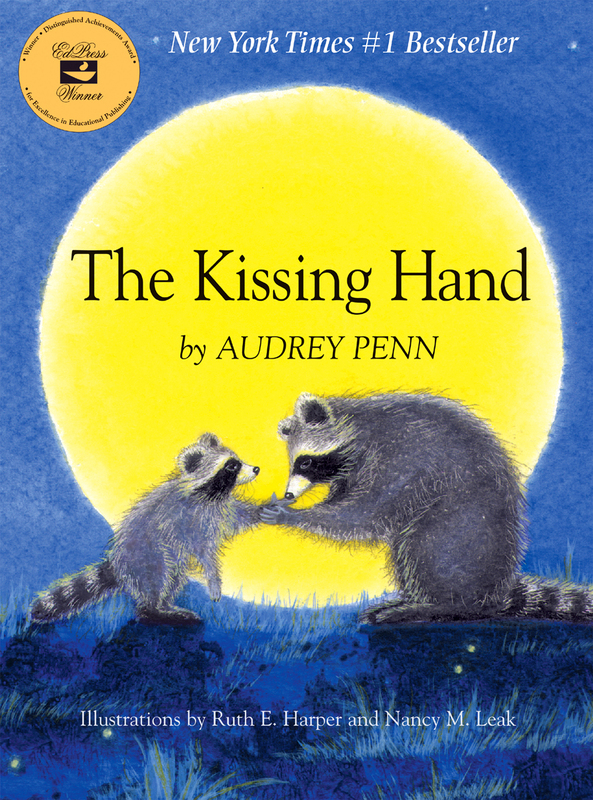 * After '9-11' struck, The Kissing Hand remained at #1 on the NY Times list for 16 weeks, and was recommended by the ALA as one of the best family resources. We all needed closeness and comfort. * The Kissing Hand is now an ALA 'classic'. It is also in Spanish, and was distributed into schools in Cuba. * USA Today, 2004 - The US Army created a 'Kissing Hand Initiative', distributing over 40,000 books to serving parents overseas in a tote bag kit, with a camcorder and letters from both author and artist - so parents could record themselves reading to and kissing their children. * The book has been given BACK to parents by their children as they went off to college, and is now treasured by their grandchildren. It is the focus of early education classrooms across America every autumn for two decades. SUCH AN HONOR!